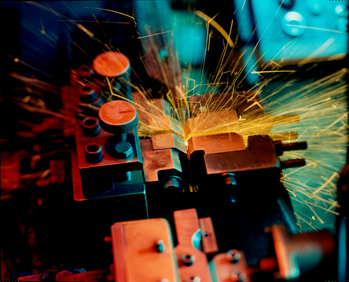 Lean Manufacturing reduces lead times and produces quality at the source, ultimately providing you the best quality products at the most competitive prices. LEAN manufacturing tools help you simplify and organize your work environment so you can reduce waste, reduce lead times, produce quality at the source, and keeps your work space, equipment and people responsive to what is needed right now, to meet the changing demands of our customers quickly and effectively and creates continuous improvement of the processes and product quality by improving flow, reducing waste and providing exceptional value for our customers. Not only have KASCO SharpTech’s manufacturing sites at Matamoros and Wales embraced the principles of the “House of Lean” tools and techniques, so have all areas of KASCO. All departments have been trained in and utilize the principles of Lean, since it is just as applicable to the office, warehouse and all other work environments. Look at the selection. Compare the quality. You’ll see you can cut anything with bands from a company that’s a cut above – KASCO SharpTech!